If you’re considering a Technogel pillow, you may be wondering whether or not it’s a good fit for your sleep needs. Factors like sleep position and comfort preferences should generally be a major focus of your pillow shopping process because they are key in determining what type of pillow is right for you. Technogel is more than just a pillow. Interestingly, Technogel has utilized innovative comfort technology and thoughtful design to create a series of pillows that are an ideal match for nearly every person. 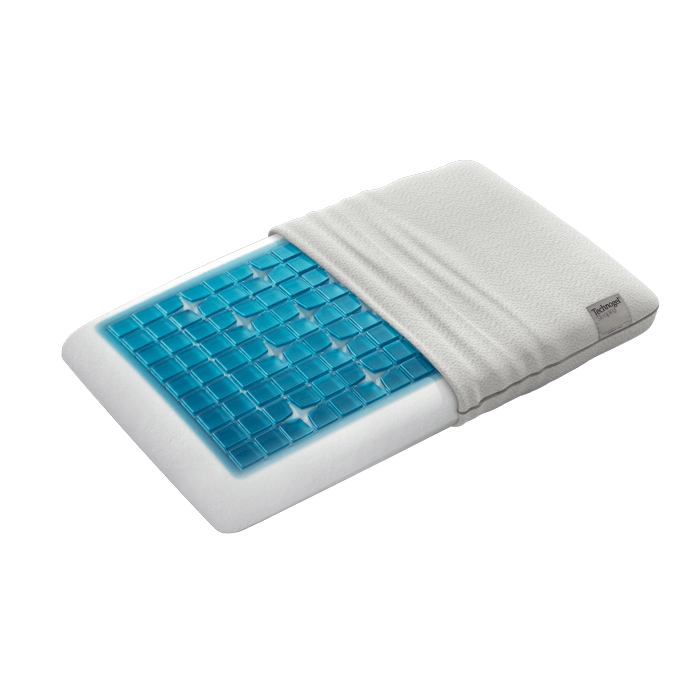 It is an innovative gel-based technology that provides additional support and flexibility. 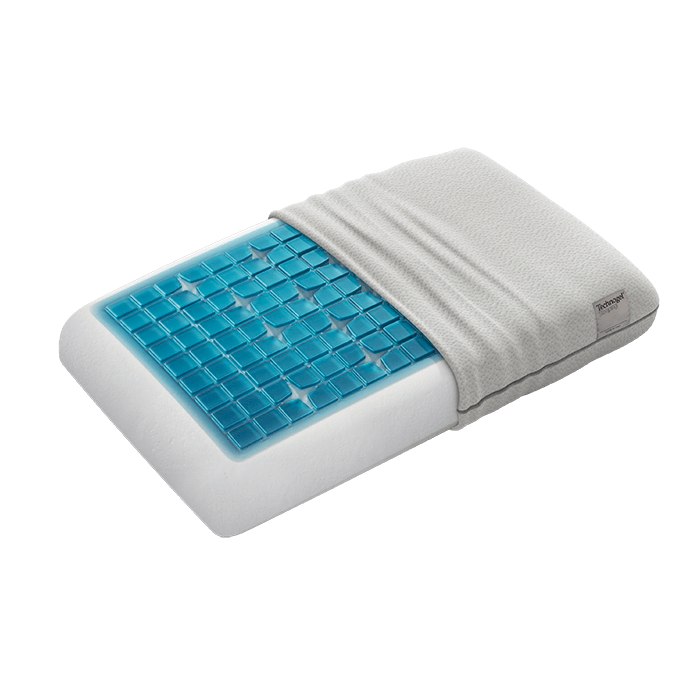 Each gel pocket is soft to the touch like a fluid but stays in place so your pillow won’t settle during the night. This technology is also changing the way we think about temperature and breathability from their pillow and MATTRESS360 is proud to have them in store. One of the most significant features of the TechnoGel line is its innovative pocket strategy. Without pockets, the gel would shift out from under your body and leave you unsupported. Fortunately, TechnoGel solved this problem with their gel mesh layer. Technogel also offers some exciting features when it comes to health and wellness. The gel is non-toxic and stays contained within the gel framework, so you don’t have to worry about allergies. 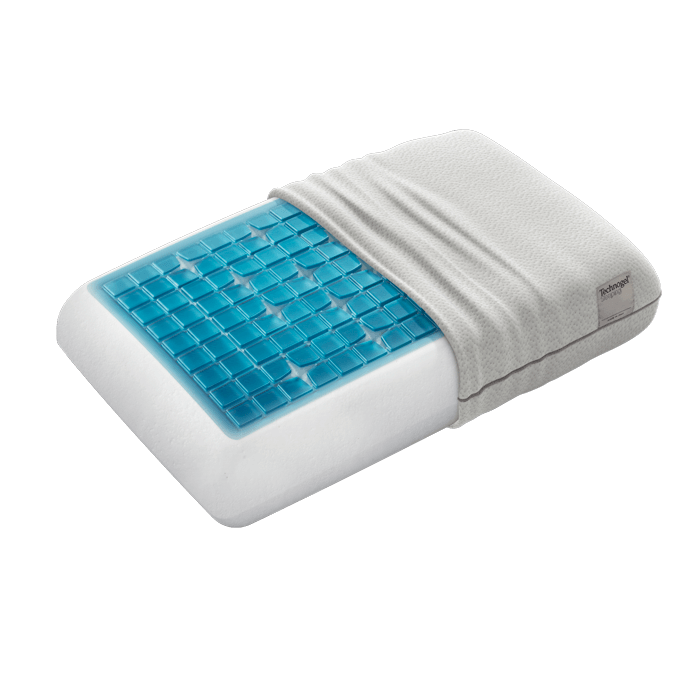 It does not trap body heat the way other pillows do, and the tiny channels between the gel pockets allow you to stay cool. Once you’ve decided to make a smart investment on a pillow by Technogel, mattresses are the next thing that should come to mind. To truly maximize your sleep health and enjoy the best sleep of your life, take the leap and upgrade your entire sleep set-up, including your pillow, mattress, and sheets. You’ll find great mattresses from the brands you know and trust, with options ranging from classic innerspring to advanced memory foam that will pair perfectly with your new Technogel pillows. Once you find your perfect mattress match, complete your dream bedroom with a set of luxurious sheets, crafted with premium materials and sleep comfort technology. At MATTRESS 360, we’re happy to help you explore our line-up of premium mattresses. Our welcoming showroom makes it easy to test your various options, try out different brands and styles, and learn exactly what you need in a mattress. We understand that a mattress is a big investment for most families, which is why it’s so important for us to help you make a decision you’ll love. Plus, we work hard to maintain the best mattress prices in the Phoenix area and our customer service top-notch, which is why so many of our happy customers recommend us to other Valley shoppers.